When our surveyor comes to visit you. 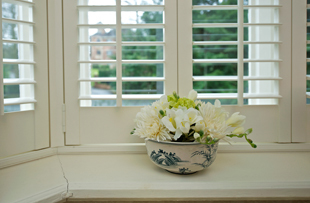 With samples they will offer you expertise advise on the design options for our Interior Plantation Shutters. 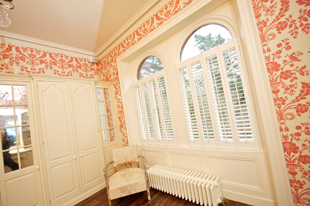 Interior louvre shutters offer a stylish alternative to other window dressings, such as net curtains and blinds, and with their different styles are able to offer the options of full height, tier on tier or cafe. 12mm centre 28.6mm x 40mm stiles. 12mm centre panel with 27mm x 40mm stiles. Base is as solid raised only specified above. Includes all louvre options. We make every effort to ensure each customer is completely satisfied with their choices and inform you of how your shutters will be installed before we carry out any work. 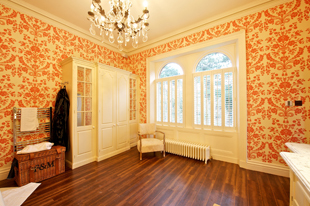 Simply the Best interior shutter service available.